I feel unwell but I don’t think I’m sick. I thought I was sick. I feel sure I had a hormone related migraine. Do you get them.? When I get them, which is not every month but when I do they always fall just before a period. (A joyous additional PMT symptom that provides more proof that should I believe in a god I would be sure it would be male! ) Sometimes they’re full on agonising headache; where a dark room isn’t dark enough; where the pressure is so great I vomit. Sometimes they just mess with my mental dexterity; I can’t string a sentence together, I can’t process the words i see into words i read and understand; I can’t balance, my spacial awareness is fucked. If you get them you will recognise the joys. I’m irritable and irrational. Small things are overwhelming. I’m finding it difficult, nigh on impossible, to concentrate. I can’t process information. My coordination is shot. I keep forgetting things. Instantly. Like the dinner I was in the middle of cooking. Or the soldering iron I switched on to heat up. Or who is on the end of the ringing phone of the call I’m making. This week I’ve been awake when I should be asleep. Asleep when I should be awake. I’ve wanted to scream at so many people. I’ve burnt things. I’ve dropped things. Making a meal has been a taxing task. I love cooking. I manage cafes, I run a B&B, I entertain friends. I’ve mis-timed, undercooked, overcooked, left out basic ingredients (the cheese from the cheese sauce for example)..
I’m tearful. I’m angry. I’m frustrated. I’m stressed. I am totally not me. I’m this other. Some of it is PMT. But at my age, some of it is (peri) menopausal. Some of it is possibly because for some reason I’ve stopped taking my happy pills. Come on. So many of us suffer from stress and anxiety. Modern society has created a lifestyle and human condition that means a disproportionately large number of us in the ‘developed’ world have illnesses relating to seratonin imbalance. I’ve been taking a very low level dose for years and years. I always tell my doctor I don’t want to find out what I’d be like without it and so on it I remain. But I think, and I don’t know why, I’ve stopped remembering to take it. Or have chosen to punish myself by denying myself it. I don’t know or understand. All I know is that this week I am losing a grasp on me and not liking the person infiltrating the missing space. It’s like every pebble is a boulder; every crack is a crater; and every small task is a monumental effort. Thank goodness that this week Debbie from My Random Musings posted the interview I did with her on her bloggers corner…. THAT PERSON IS ME… THIS PERSON IS AN UNWELCOME IMPOSTER. Go and read about the real me. I’ll find her again myself in the next few days I’m sure. But until I do my rose-tinted reality is sadly hidden under a thick rough grey blanket…. Next My mum and me…..
Ugh, again you are speaking my own words. I am more cold than hot these days…shivering away from the inside out. Eventually it turns into a blasted heat flash usually around 3 am. I wake in a pool of sweat never to return to my unpeaceful slumber. And the mood swings. The acne break outs. The cramping. The facial hair that sprouts from nowhere. The indescribable body odor. The fluctuating libido that leaves my husband so confused! The debilitating fatigue that causes days to be lost as I am a lump on the couch. 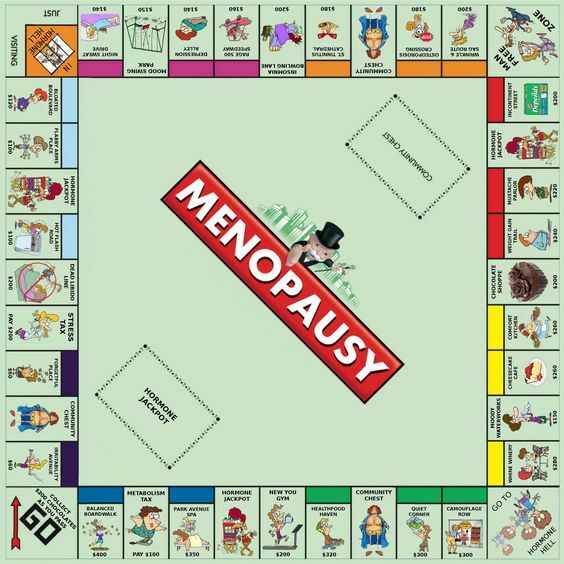 Oh, merry menopause, how I abhor thee! Thank you for sharing your experience and talking about it! We need to not feel alone on this female journey! All I can say, having now had 12 months period free, it WILL pass. It WILL pass. I promise. Bloody awful going through it and I’m always here to listen and hug if that helps. Sending love and hope you have a wonderful time with Sue today. Sorry I cannot make it work this time – a bit more notice and I’m in for a small group. I hope you feel better soon. Sometimes life just gets a bit too much and the imposter crawls into our lives and into our personalities. I hate it.